We know it doesn’t feel like Springtime outside, but it is coming soon and so are the Cherry Blossoms in Washington DC! You must be quick to see them though because while they are stunningly beautiful they are also very delicate and the blossoms don’t last long. 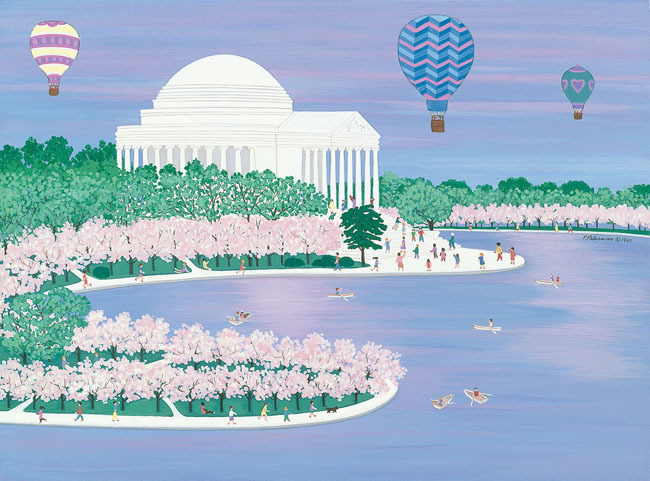 If you don’t make it to Washington this year to see them then you can always buy a Patricia Palermino original depiction of Jefferson’s monument and the tidal basin with the cherry trees in full bloom! You will feel the first breath of Spring when you look at this painting and you won’t have to fight through crowds of tourists to see the trees at their blooming best!